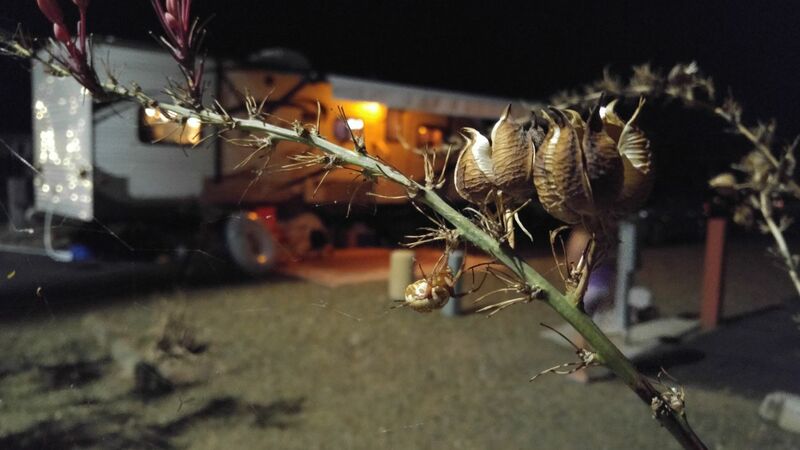 I wasn’t really sure what I was going to say about our four-month-long stay in the East Valley of Maricopa County, Arizona. I think it can be difficult to describe a place that is or has been home. We used to live in Scottsdale and Phoenix; we know the East Valley pretty well. When routine kicks in, we can forget about the nuances of a place, when much of one’s day-to-day is hanging out at home and buying groceries. I felt that way when imagining how this piece would unfold. How would I describe a place that I know so well? What would be important to say about a place that we have called home? Well, as a moderately-famous unschooling mama once suggested, be a tourist in your own town. I like that idea. There are a lot of things wrong with Maricopa County. First, there are almost four million people living in it; it is the fourth-largest county in the United States. In the seven years since we moved away from Arizona, Scottsdale clearly has grown. There are more multi-level condos and apartments growing up and the city is expanding where it can, especially east along Shea Boulevard, in Old Town, and in North Scottsdale. My friends are complaining. The evidence is in the traffic (and at the grocery store, according to one friend): Cars are many (more), waits are long, Old Town is jammed up pretty often. The Onion even joked about it in an article titled “New Study Finds Most Of Earth’s Landmass Will Be Phoenix Suburb By 2050.” It is a popular place to be. Maricopa County is the sunniest place on earth. With perpetual blue skies, very little wild weather and all that sun — an average 300 days of it — it is easy to understand why folks come here to stay. The East Valley looking south from Fountain Hills, AZ. Second, as valleys often go, this desert valley traps air, and, thus, all of the stuff that lingers. There are often air quality alerts in the region from high levels of particle pollution — a mixture of soot, dust and aerosols — or ozone. Years of doctors’ advice suggesting that people move to the Southwest for their health was probably not such a good idea. Valley Fever is a very real thing. So is asthma and other pulmonary issues that can be exacerbated by living in the Valley. However, although Phoenix ranks high among most polluted cities in the U.S., it isn’t always this way. Air quality levels change every year; some years are worse than others. Finally, and on a personal level, it is hot. When we lived in the desert, it seemed that the searing temps occurred from May to September. That simply isn’t true anymore. This subtropical desert climate can begin to heat up by March, and can last until October. We can attest to that as we arrived in Fort McDowell in September and sweltered under the desert sun in our tiny camper until the end of October. That is eight months of warm-hot weather that can keep most people indoors. It does not help that much of the Valley is a paved, black-topped, concrete jungle, which traps the heat. This is not how we want to live our lives, in AC, behind darkened windows, inside. But people do it — almost four million of them, and they seem to manage. Nevertheless, there are many things that we love about the Valley — the East Valley in particular — and these things we’d like to share with you. When it isn’t boiling hot, there may be no better place to be than in the East Valley for winter. It simply is beautiful, with its cool evenings and warm days. 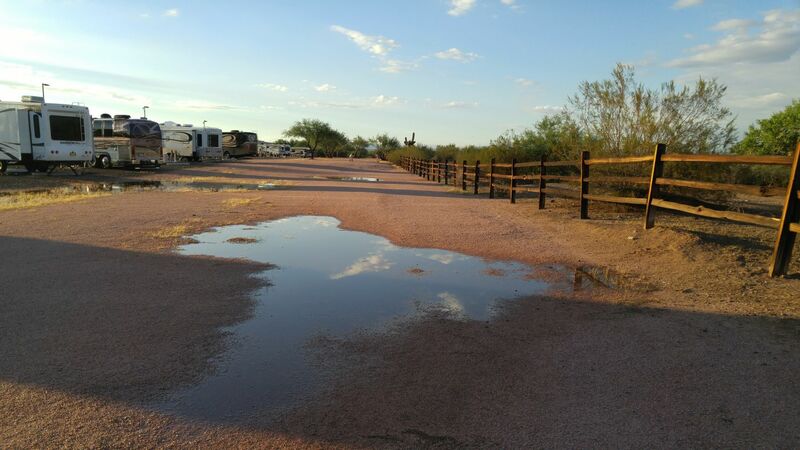 Everyone goes outside and all kinds of folks come here as “snowbirds.” Occasionally, a winter storm comes through in the form of rain and drenches the desert, awakening its vibrant nature and smelling of creosote. 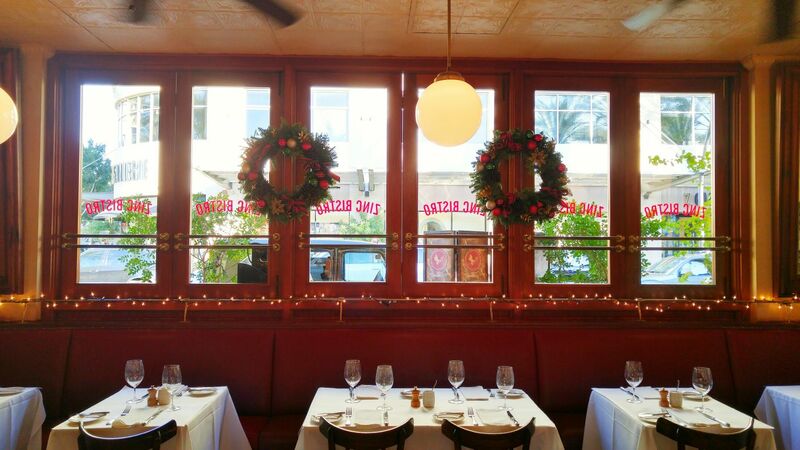 Throughout the winter, it is delightful to be here. We take advantage of this ideal climate and venture outdoors often. 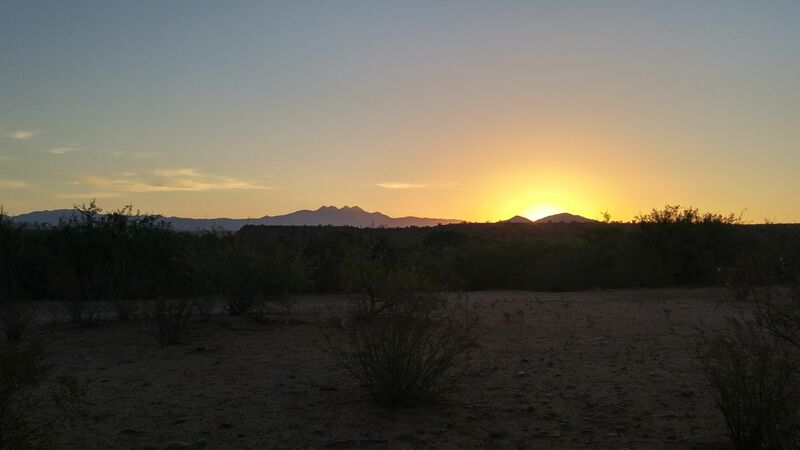 Sunrise over Four Peaks at Fort McDowell, AZ. 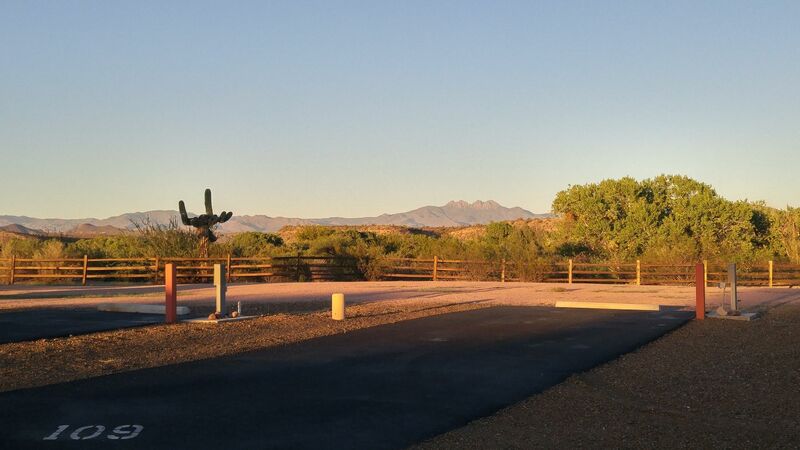 Winter awaits for snowbirds at Eagle View RV Resort in Fort McDowell, AZ, with a nice view of Four Peaks. 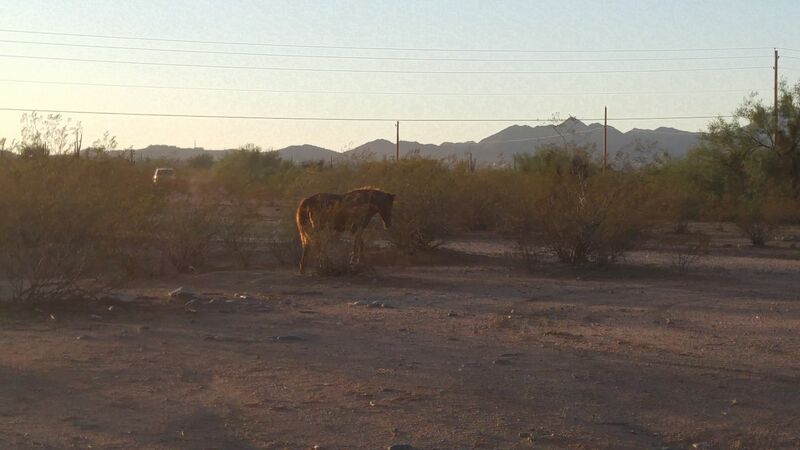 Easy to be outdoors in rural East Valley. 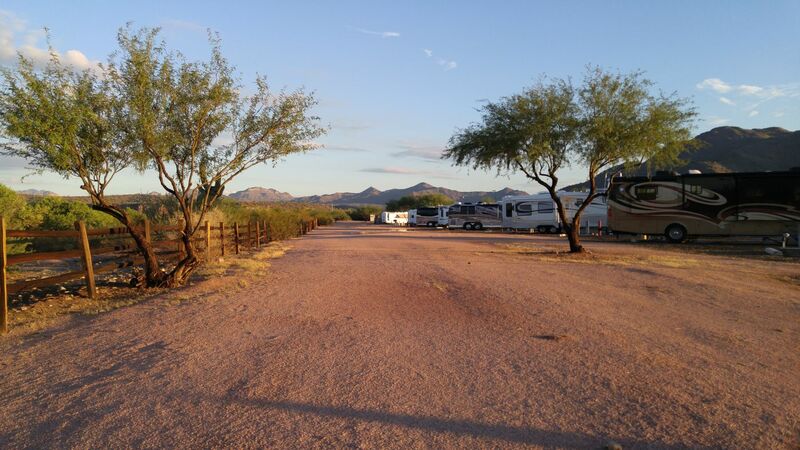 Eagle View RV Resort, Fort McDowell, AZ. 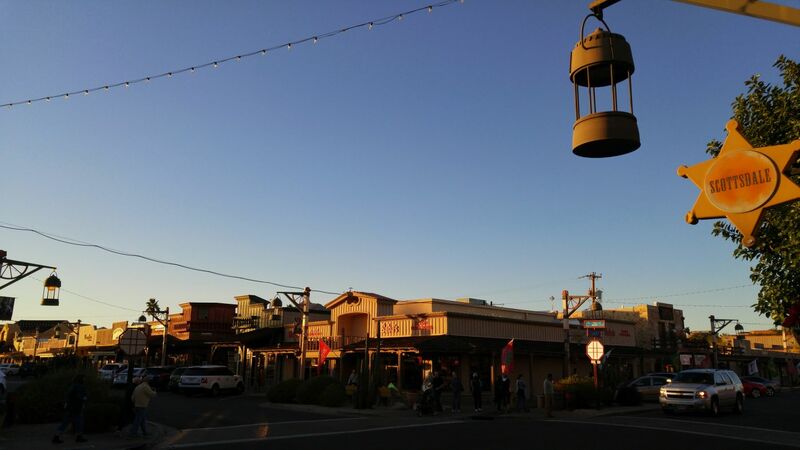 Old Town Scottsdale, right around happy hour for an evening stroll. Monsoon clouds at Fort McDowell. Heavy rains approaching. The desert is beautiful after the rain. Mostly because of the amazing winter weather, there is a convivial way about the Valley. So much of what goes on happens open-air style — dining, drinking, shopping, socializing — and it’s really a wonderful way to be. We spent a lot of time with friends and family and on our own taking in this delightful lifestyle that we love so much about this region, one we have missed since being away from it for the last seven years. 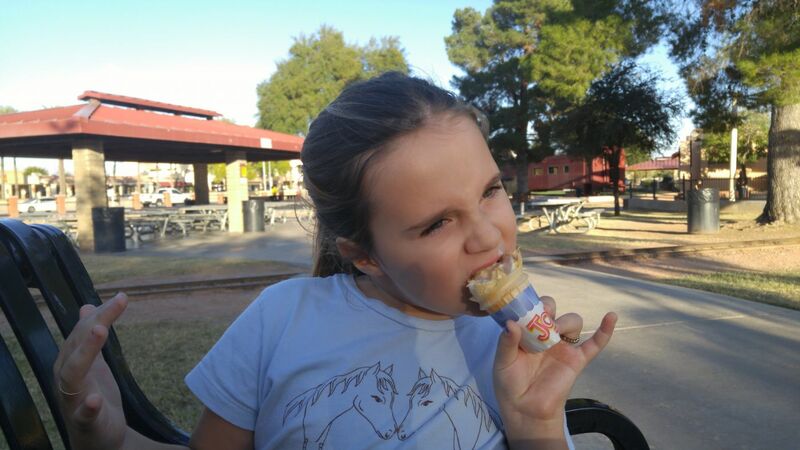 North Scottsdale, Old Town, Central Scottsdale, East Phoenix, Fountain Hills and Fort McDowell, we had a wonderful time engaging in this al fresco way of life. 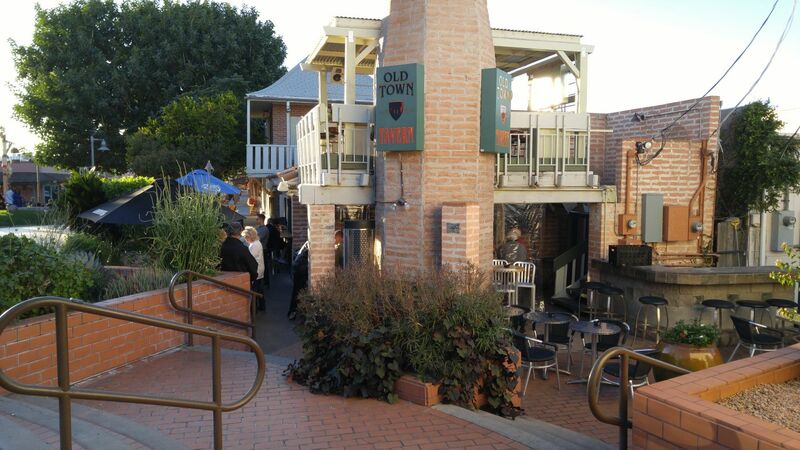 Always happening, Old Town Tavern, Old Town Scottsdale. 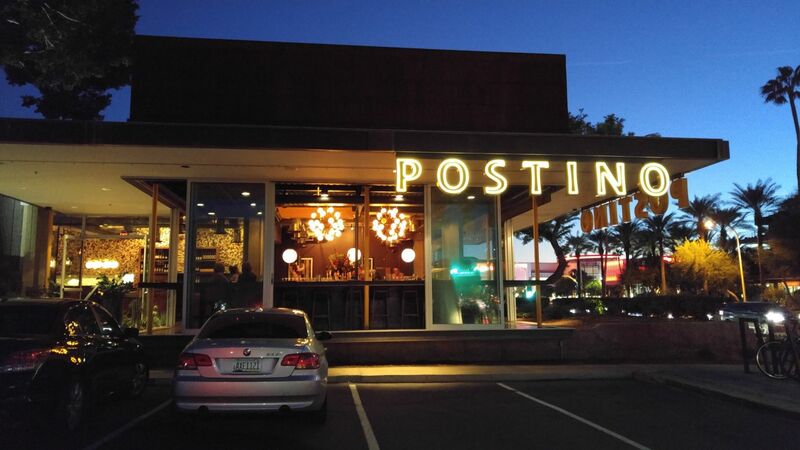 Postino is a great open-air restaurant and bar. 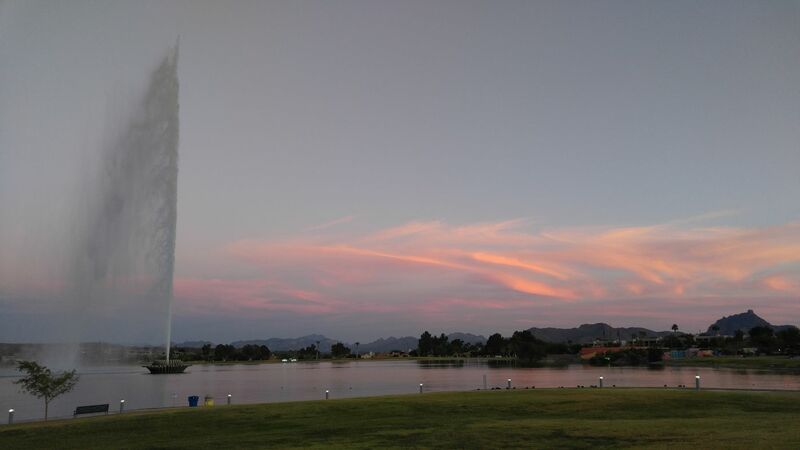 The fountain at Fountain Hills as seen from our patio dining spot. 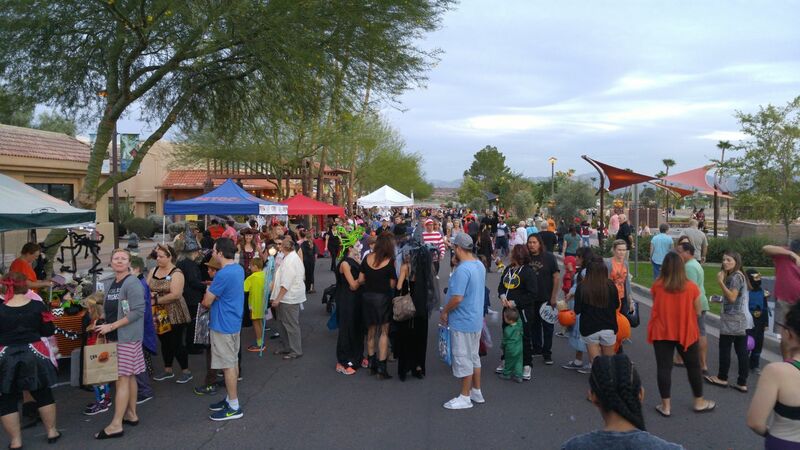 Outside Halloween block party in Fountain Hills, AZ. No rain or snow here. 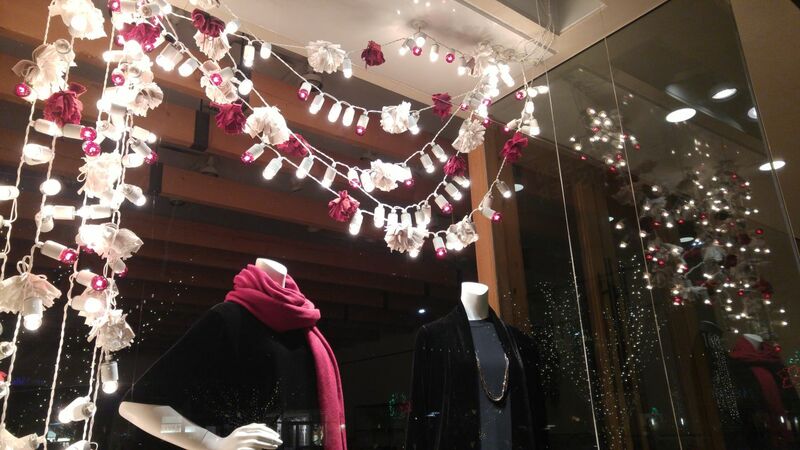 Decorated for Christmas at open-air Kierland Mall in North Scottsdale. 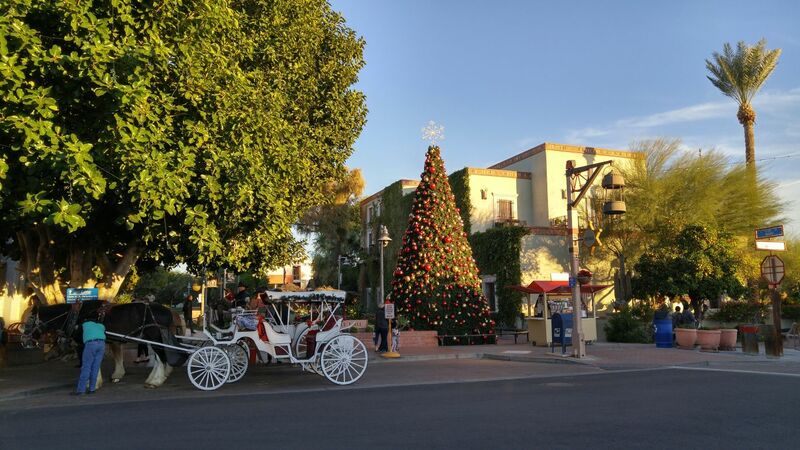 Christmas cheer in Old Town Scottsdale. 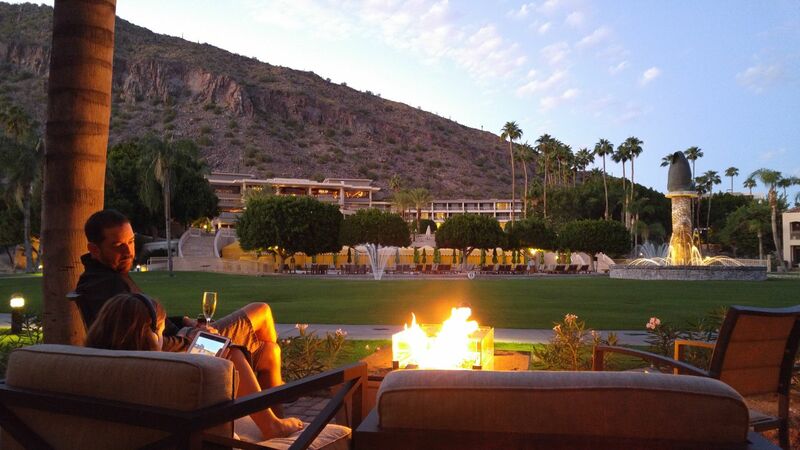 Time spent with family at the Phoenician. East Valley, AZ. 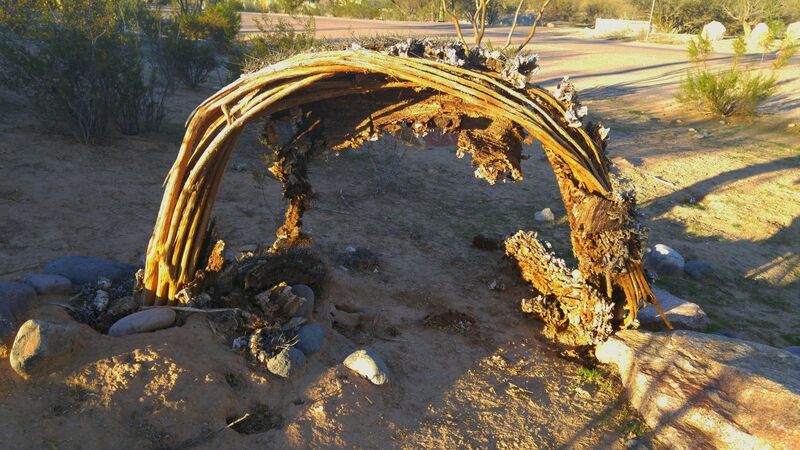 One of my favorite things about Arizona is the presence of the art community. Public art is a big deal in the Valley, and the East Valley is no exception. 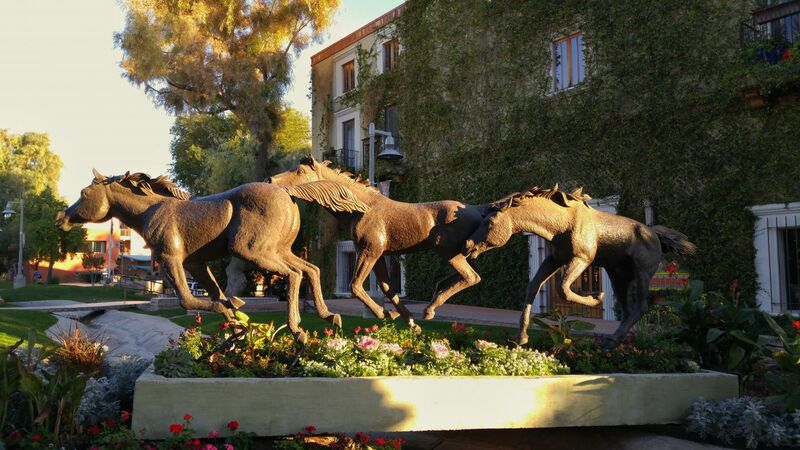 No matter where you go in Scottsdale and the surrounding areas, you will find art that appeals to you. It never gets old. It is always interesting. 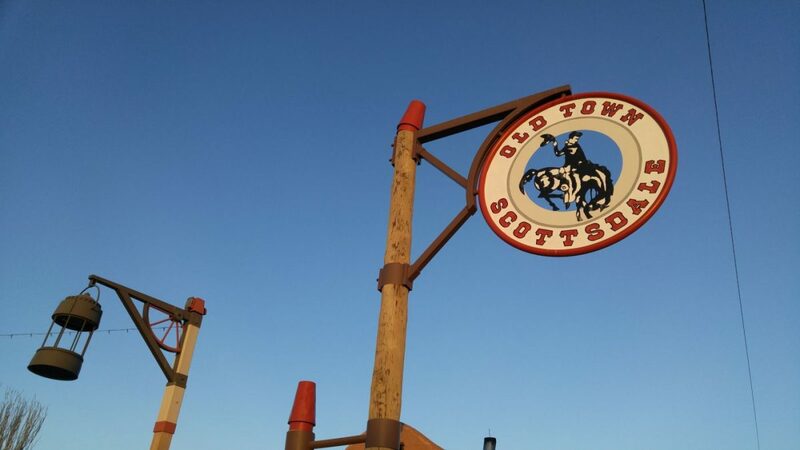 Still considered the “Old West,” the East Valley still maintains a high level of folk lore. It never lacks for tchotckes or reminders of its ranching roots. Furthermore, the Valley is surrounded by and mixed with Native cultures. 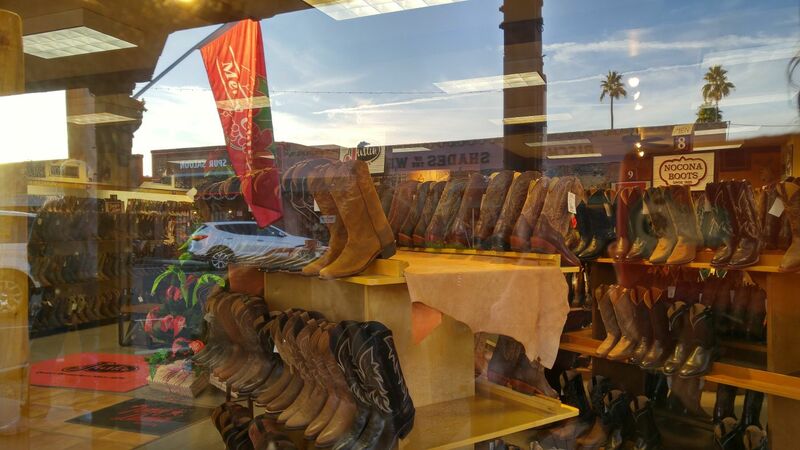 The East Valley is a blend of many ways of life, old and new. Get a map, get lost and go see what’s around town. 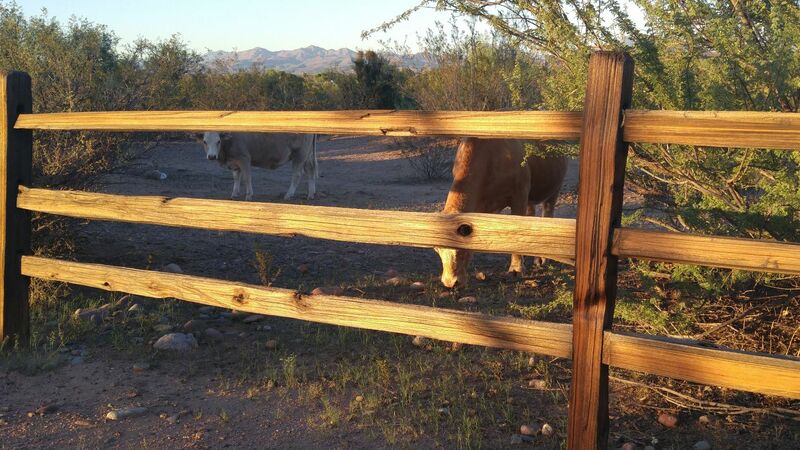 Horses everywhere in Old Town Scottsdale and beyond. 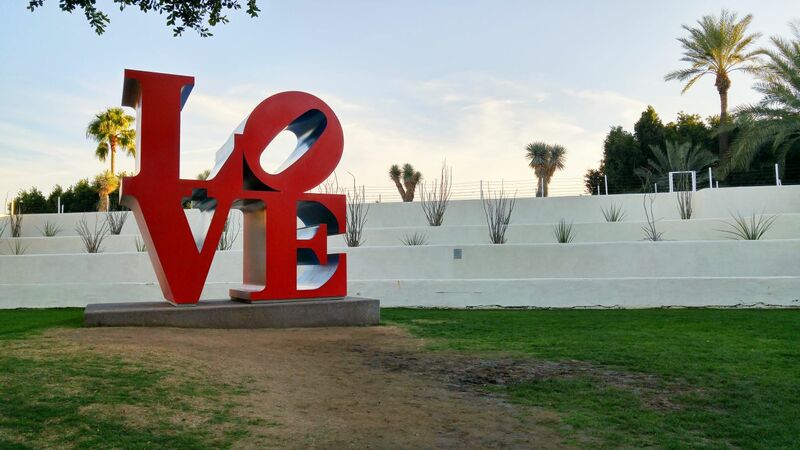 Famously, LOVE by Robert Indiana at the Scottsdale Cultural Council mall in Old Town. 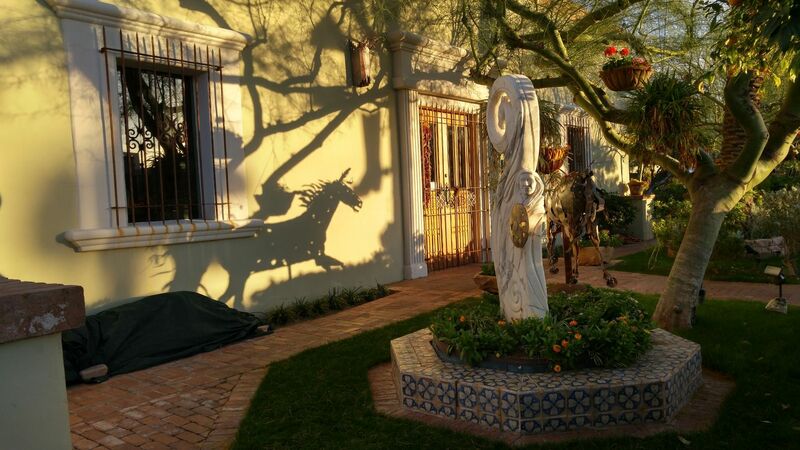 Always creative and interesting at Bischoff’s, Old Town Scottsdale. 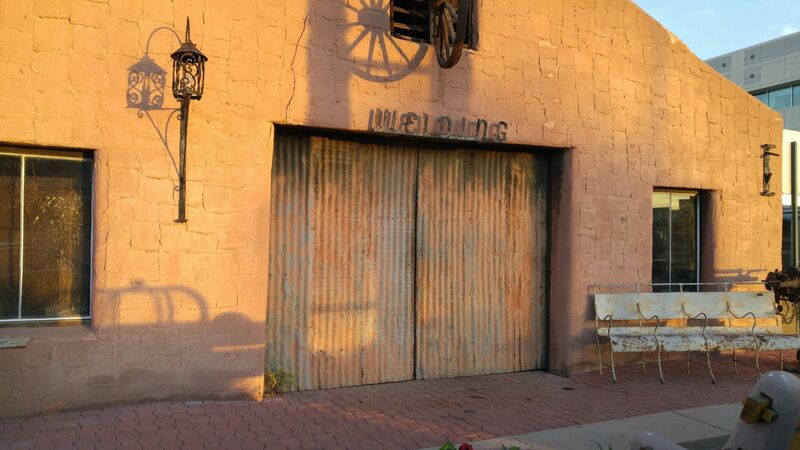 Iconic Old Town blacksmith shop. 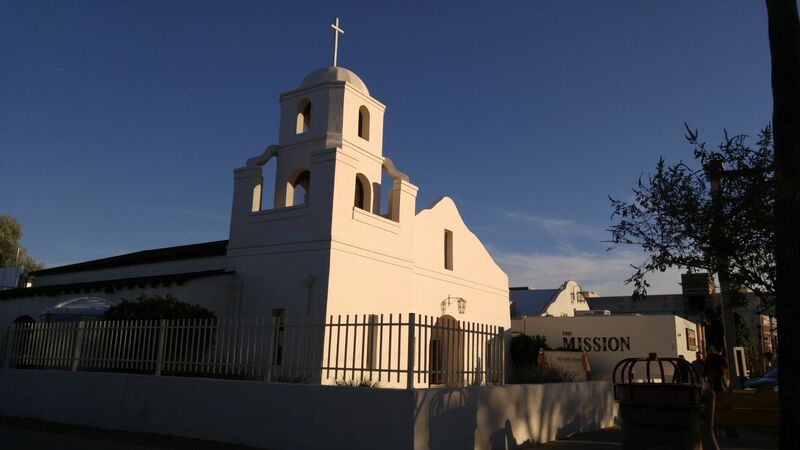 Built by Mexican settlers in 1910 and completed by the 1930s, the Old Adobe Mission is another Old Town landmark, with a delicious restaurant next to it. 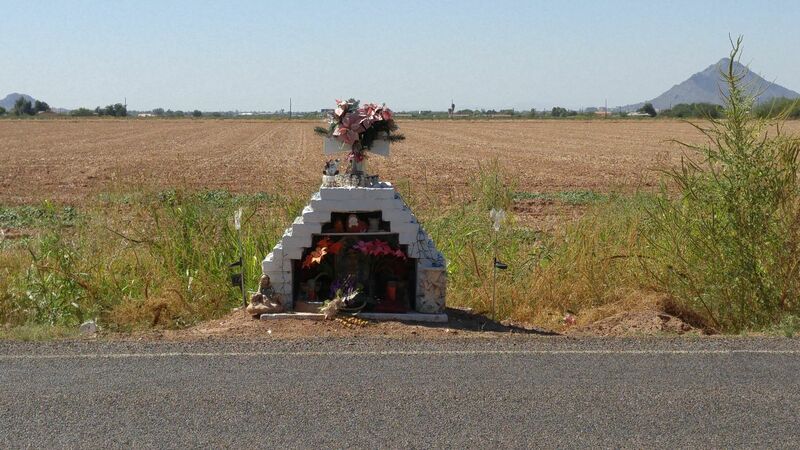 A lovingly and carefully-crafted homage to someone’s passing. Salt River Reservation, Scottsdale AZ. 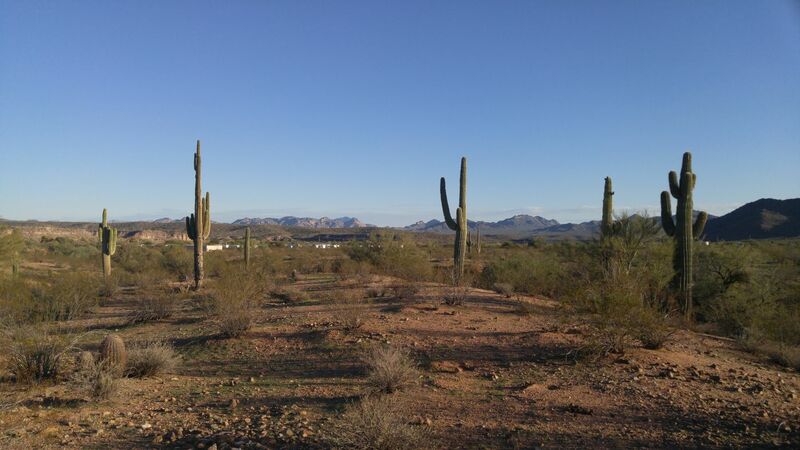 And, of course, if you have been following along on our journey, you know how much we love the Sonoran Desert. The East Valley is right in the heart of it and we do what we can to see it all. There is nothing like this desert in the world, and it holds a place in our hearts — beauty and the beasts included! Fort McDowell/Yavapai Nation Reservation. Our RV resort is visible from here. We loved our beautiful, rural setting. 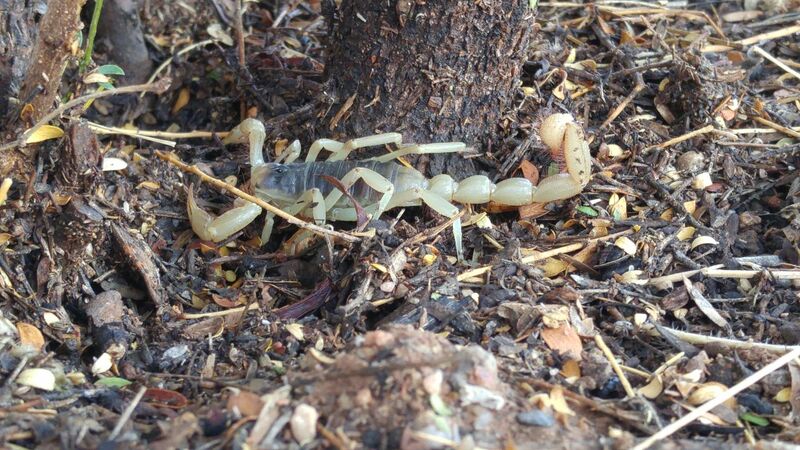 A giant hairy scorpion after the rain. 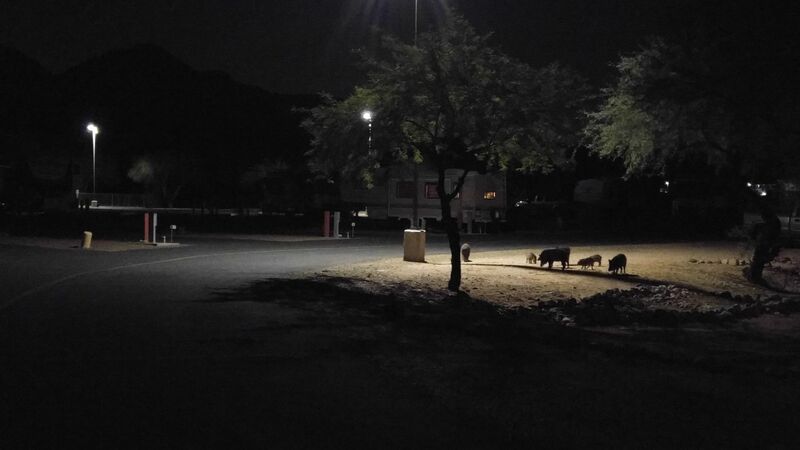 A family of javelina on the hunt for food. We could go on and on about our four months spent in the Valley. Much of our trip was work-driven, and much of our time spent was with good old friends and family. And there are still so many we didn’t visit! And there is still so much to mention! Other favorite activities of the Valley are visiting downtown Phoenix, the Desert Botanical Garden, the zoo and the Scottsdale Arts Festival. The food scene is changing for the better in the Valley. The list is long and worth the many outings it will take to eat your way through the emerging culinary scene. There is always spring training — too much fun to miss! 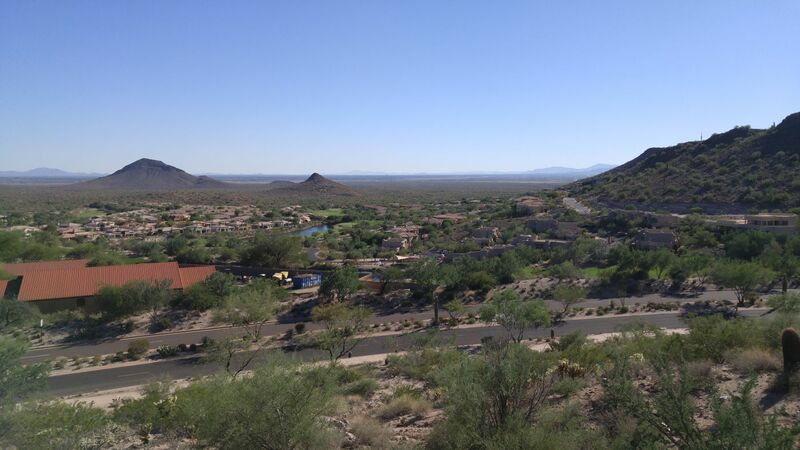 There are hikes through the Superstitions and at McDowell Mountain Regional Park. 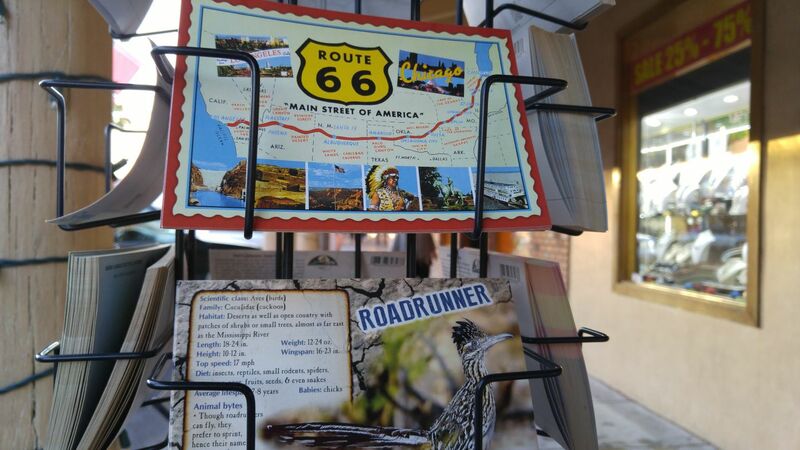 And we used our location at Fort McDowell as a launching pad for visiting Sedona, Flagstaff, the Grand Canyon, and Greer. 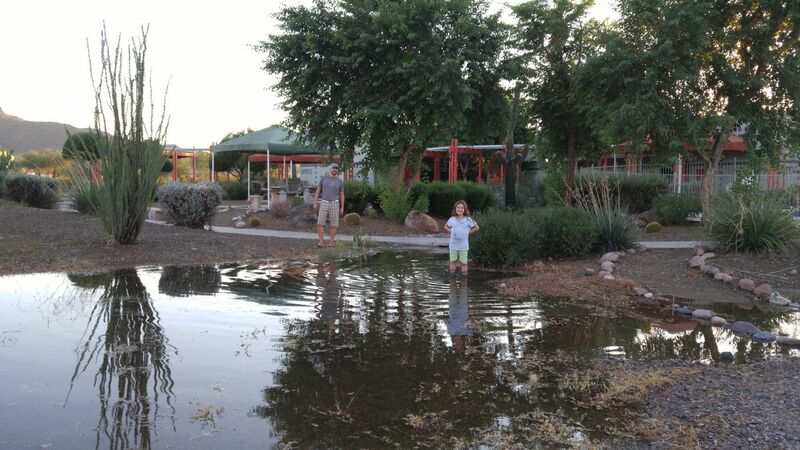 So many memories, so many good times, visiting the East Valley tickled our senses enough to considering making this area our home again, but it was not to be. The heat of the summer would keep us away, but the lure of the winter weather and all of our delicious friends and family will keep us returning again and again. We love the desert, we love Arizona. It will always be home to us. This ice cream is delicious! Train Park, Scottsdale, AZ. So sweet to hear of your adventures and looking forward to trying at least one of the restaurants you commented on!! Getting hot here, but I don’t mind! But your right the black top adds to the feeling of being cooked! Hope your enjoying California! Hi from Arizona!! !